Black Curtain Tracks Make the "A List"
The Little Black dress is a staple in most every woman’s wardrobe. And rightfully so, as it’s undoubtedly an iconic item, appropriate for all occasions, and goes with everything. Men, you can also relate to such a necessary statement piece. For example, close your eyes and imagine that you are driving your dream car fresh off the dealer’s lot. What color is it? I bet one of your top-three choices is a sleek and classic black. Point being, many of our favorite items – from dresses to cars, puppies to purses, cell phones to sunglasses – all come in black. It’s no doubt a popular color choice for most all of the things that we buy, but surprisingly that is not the case when looking to purchase curtain tracks in a dark finish. 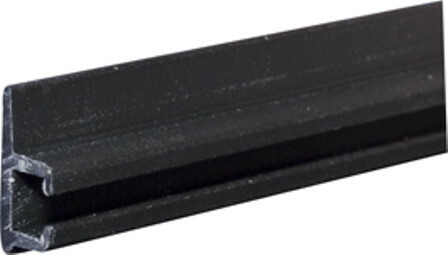 Availability of black curtain tracks is fairly limited with most retailers, but Curtain-Tracks.com offers several models in a black finish, which is good news for homeowners, business owners, and recreational vehicle owners alike. Homeowners are rejoicing that they can now match their darker drapery with a curtain track finished in black. This allows for a more seamless design inside the home. For many, black curtain tracks and matching hardware have helped put that finishing touch on a room that was otherwise missing something. Bar and restaurant owners are also enjoying the black finish on our curtain tracks because they tend to match the décor of their businesses much better. Since many dark clubs and dimly-lit lounges use drapes to section off certain parts of the floor plan, black curtain tracks have proven to be somewhat of a style savior for those areas that are often times painted dark or are furnished with darker accessories and accents. 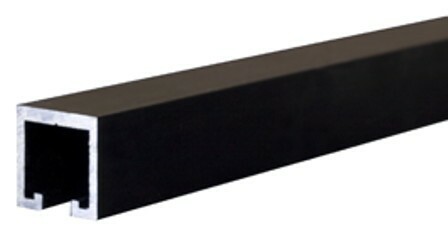 Plus, since our drapery hardware is also dark, the whole piece can easily blend into its surroundings once installed. 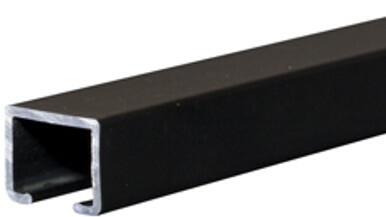 Be sure to take a look at our black curtain track options. Popular style numbers include: 3120, 42124, 4108, 5400, 3108, 3110, 3112, and 3114. And don’t worry, we promise it won’t be as hard as finding the perfect Little Black Dress or your dream car.